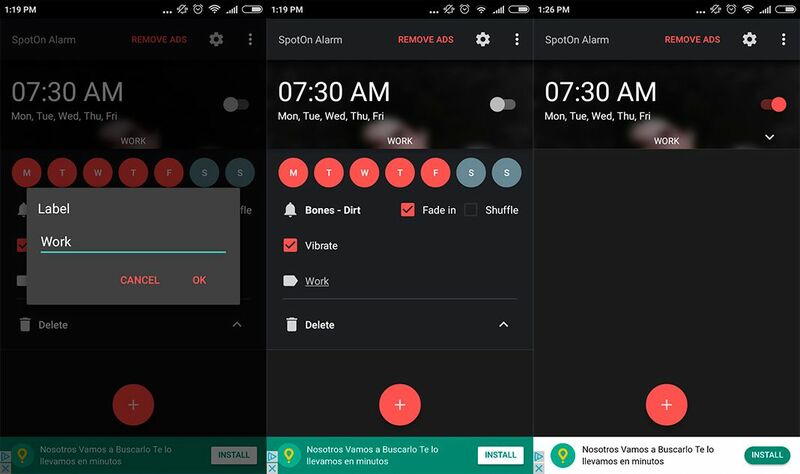 SpotOn Alarm for Youtube is an attractive and simple alarm clock app that lets you wake up to your favorite YouTube videos and playlists. If your boring old Android alarm clock doesn’t exactly put a spring in your step every morning, then we have some good news for you. With SpotOn, you can wake up bright-eyed and bushy-tailed, with your favorite music on YouTube. 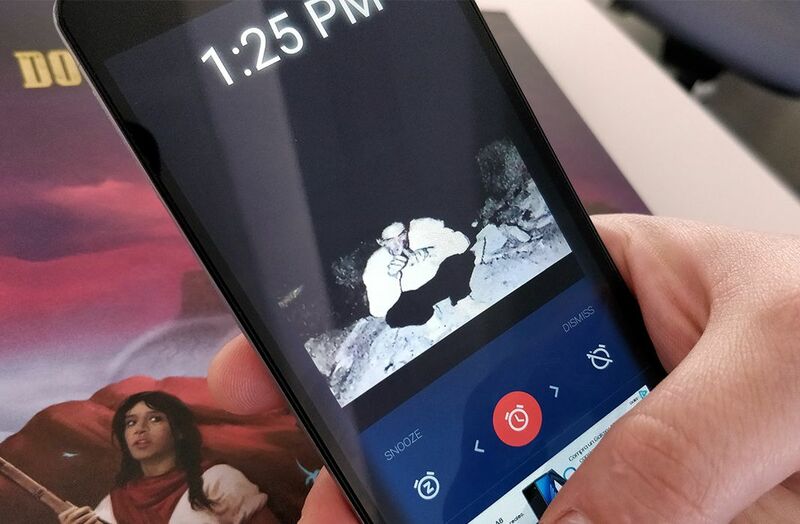 This app is a lot like the Spotify alarm that we reviewed not too long ago, but with the added advantage that you don’t need to pay for a premium account. It’s an alarm clock that only takes a few steps to set up and will help you wake up on the right side of the bed every single day, with YouTube. 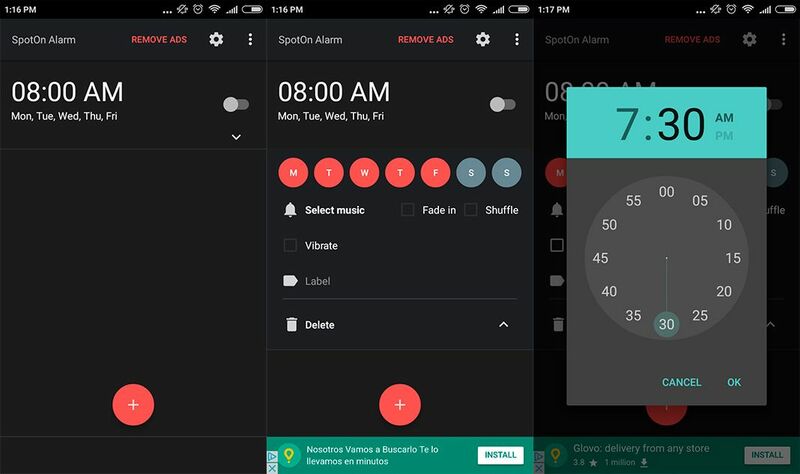 This alarm clock manager is extremely easy to use and lets you create all the alerts you need with just a few taps of the screen. The interface in SpotOn Alarm for Youtube couldn’t be more straightforward. If you’ve ever set a smartphone alarm clock before, then you won’t have any trouble at all figuring it out. To start, all you have to do is tap the red “+” button found at the bottom of the screen, or tap the first alarm that’s shown on the app by default. Then, you’ll see a menu where you can set the alarm how you want it and configure the time and days of the week that you want it to sound. The cool thing about this alarm clock is being able to use YouTube videos. 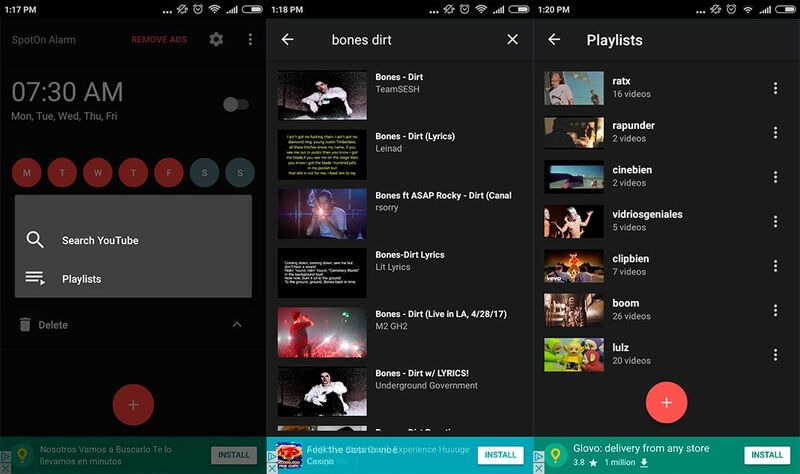 To access them, all you have to do is tap “Select music.” In the new menu that appears, you’ll have two options: select a YouTube video by searching for one through the app, or select a playlist to start playing when the alarm goes off. For the first option, you just have to enter the word or phrase you want to search for and then select the video you want. The second option of choosing a playlist is just slightly more complicated, requiring you to sign in with your YouTube account to choose one from your own playlists. Once you’ve got that out of the way, you just have to select the one you’d like to use as your alarm. After that, all that’s left is to put the finishing touches on your alarms according to your own personal preferences. You can give your alarm a name, choose if you want your device to vibrate, decide if you want to shuffle the videos in the playlist, and if you want to activate a fade in effect. You’ll repeat this same process every time you create a new alarm and you’ll be able to enjoy your videos of choice when the time comes. Remember, however, it is necessary to be connected to the Internet for the videos to load.